№30522872 Russia, Samara, September 2018: Spectacular staged battles of Slavic warriors and knights at the festival in Zagorodny Park. №30522849 Russia, Samara, September 2018: Spectacular staged battles of Slavic warriors and knights at the festival in Zagorodny Park. №30522857 Russia, Samara, September 2018: Spectacular staged battles of Slavic warriors and knights at the festival in Zagorodny Park. 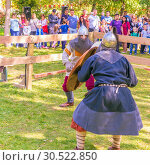 №30522844 Russia, Samara, September 2018: Spectacular staged battles of Slavic warriors and knights at the festival in Zagorodny Park. №30522865 Russia, Samara, September 2018: Spectacular staged battles of Slavic warriors and knights at the festival in Zagorodny Park. 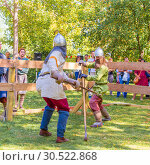 №30522852 Russia, Samara, September 2018: Spectacular staged battles of Slavic warriors and knights at the festival in Zagorodny Park. 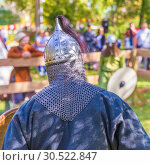 №30522860 Russia, Samara, September 2018: Spectacular staged battles of Slavic warriors and knights at the festival in Zagorodny Park. №30522868 Russia, Samara, September 2018: Spectacular staged battles of Slavic warriors and knights at the festival in Zagorodny Park. 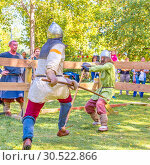 №30522846 Russia, Samara, September 2018: Spectacular staged battles of Slavic warriors and knights at the festival in Zagorodny Park. №25183270 'Donga' stick fighters, Suri / Surma tribe. The Donga fights are an outlet to resolve conflicts between tribes. Omo river Valley, Ethiopia, September 2014. №25474542 1 Udege couple in national dress, Primorskiy, Siberia, Russia (Ussuriland).